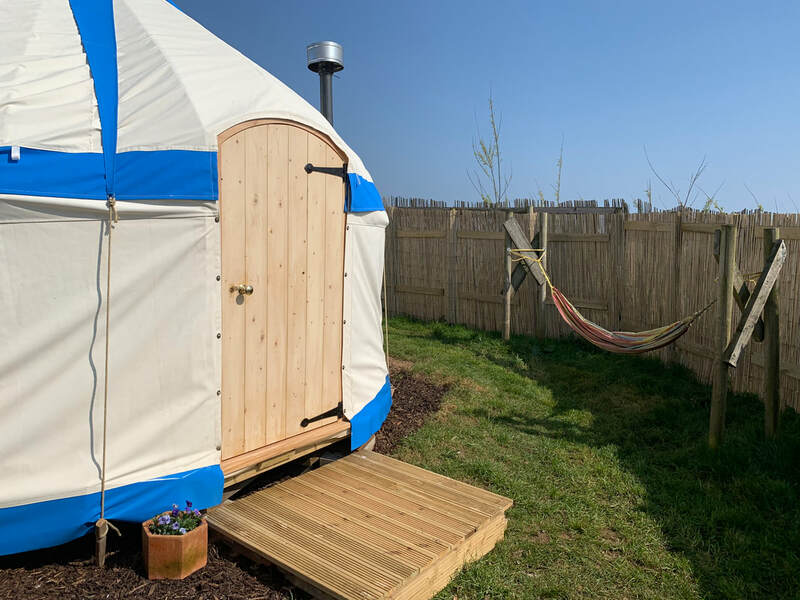 The Buzzard yurt has a double bed, double sofa bed, a single fold out bed and a log burner to keep you cosy and warm. It's a Mongolian yurt (or Ger) distinguished by it's roof steepness (or lack of) suitable for high winds. This 17 foot yurt is our largest and comfortably sleeps 5 people. Like the others, it has a hammock, camp fire area, sea view and sun lounger outside the yurt.